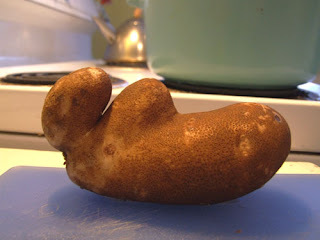 I made potato soup last night, and this is one of the potatoes I found at the bottom of my five pound bag. Reminiscent of Henry Moore, don't you think? Whoa! 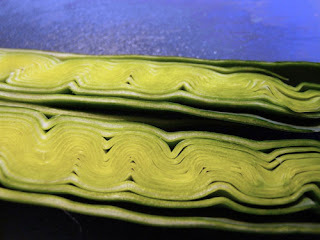 I've never seen a squiggly leek before. I wonder what happened. And for the record, yes, they're both organic.